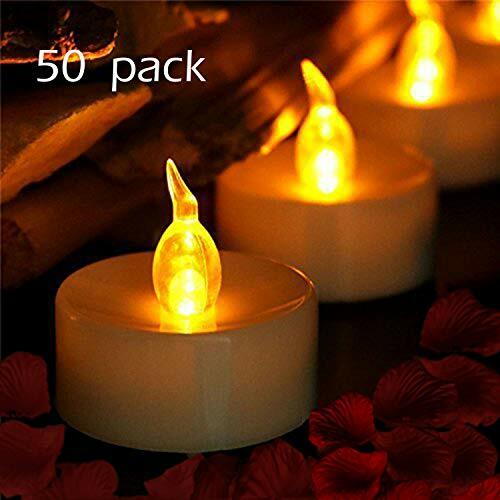 Powered by one single widely available & inexpensive CR-2032 Lithium-ion button cell, the Vivii LED tealight candle can stay lit for well over one hundred hours. 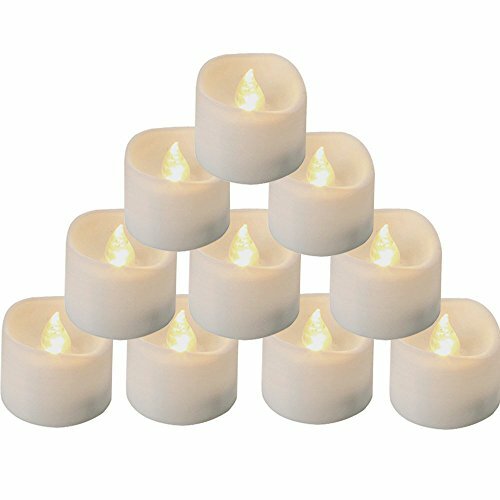 And it's a great value and ideal for weddings, restaurants and parties. 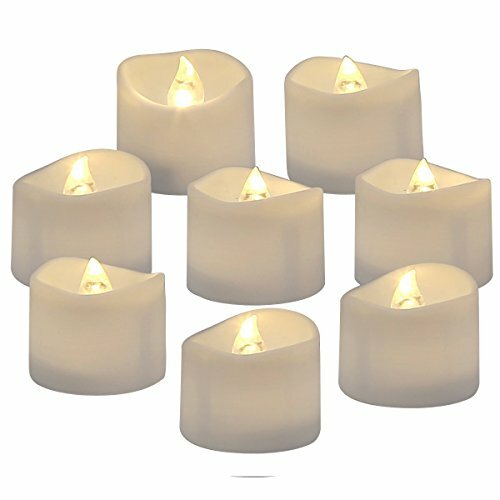 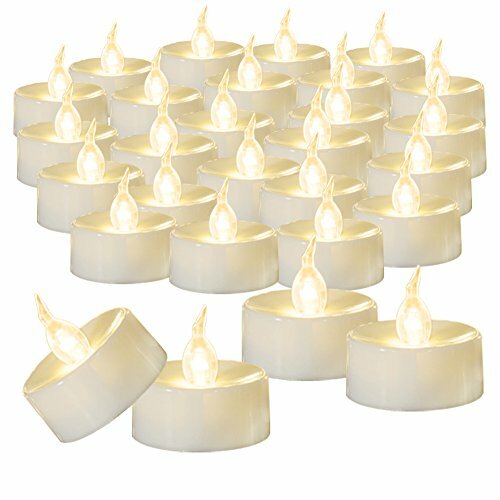 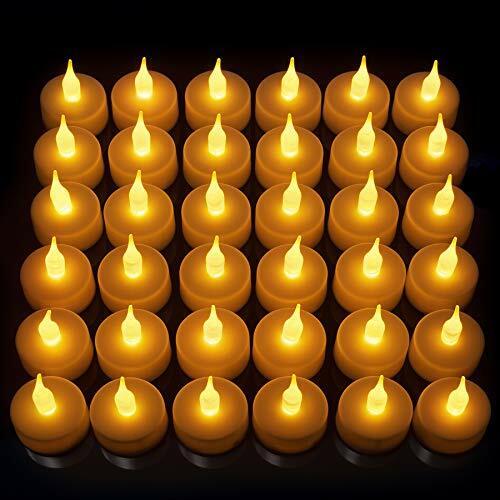 Coming in a generous package of 36, these candle lights realistically generate flickering effect to simulate burning candles, better yet there's no more black smoke or flame, nothing to clean up. 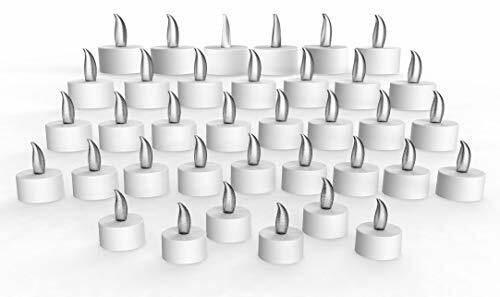 The long-lasting LED bulbs have an average life time of 200,000 hours. 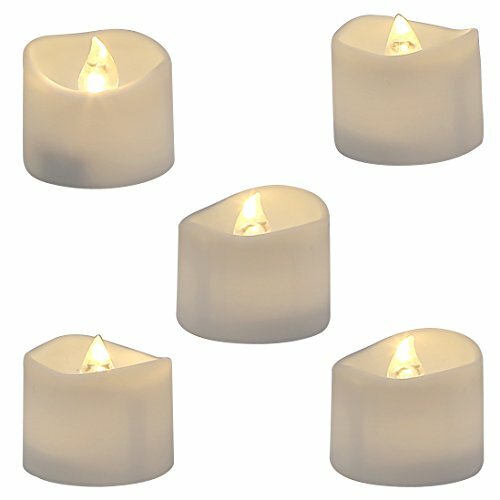 Please remove the plastic insulation tape prior to use. 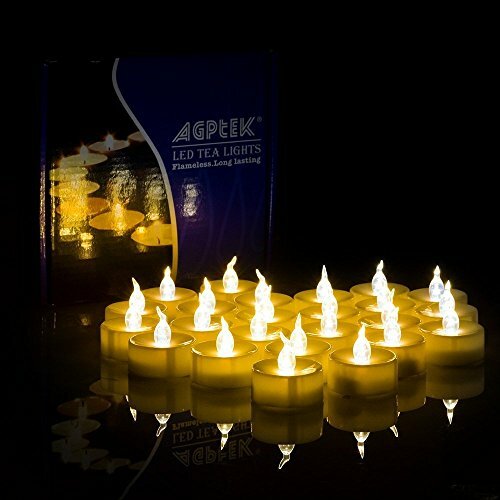 Color:Flickering Yellow Battery:each tea light included a CR2032 button cell.